The pictures show Israeli flags being burned and signs held at a demonstration in Cairo following US President Donald Trump's speech in which he recognized Jerusalem as the capital of Israel. 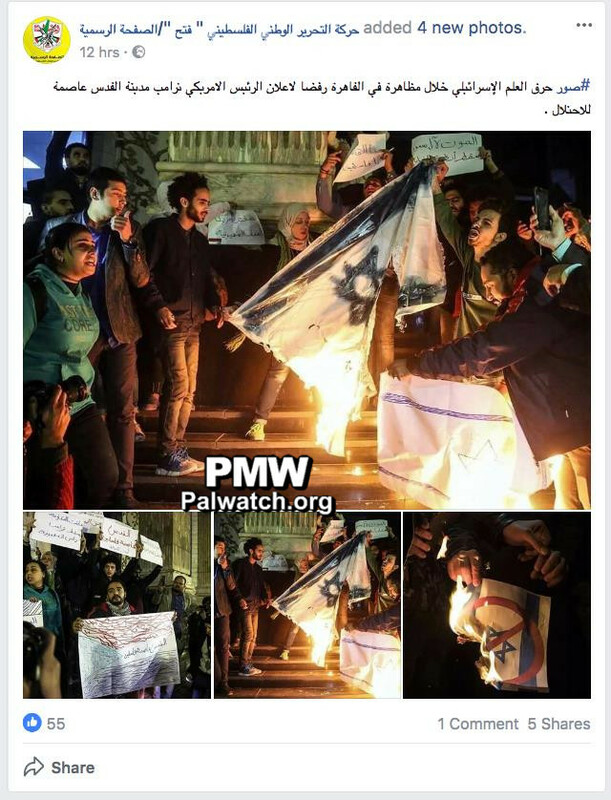 Posted text: "Pictures of burning the Israeli flag at a demonstration in Cairo that rejects US President [Donald] Trump's statement that Jerusalem is the capital of the occupation." Text on signs: "Jerusalem the capital of Palestine – death to Israel!" The resistance lives, Trump will fall – patron of the Zionists!"